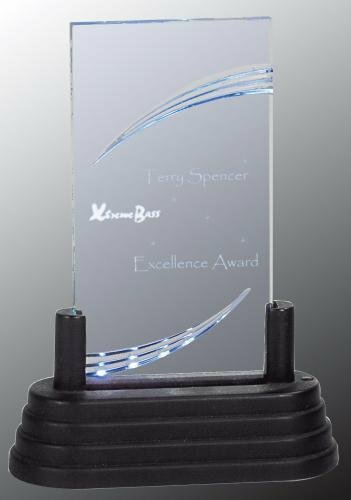 Elegant is the only term that one can use when describing these Acrylic Clear Obelisk Awards. 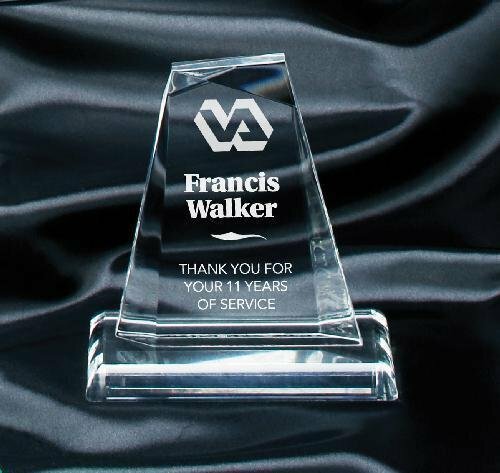 A beautiful obelisk design that incorporates beautiful cuts to reflect light and add depth all enhance a large engraving or laserable area that can accommodate any of your personalization needs. 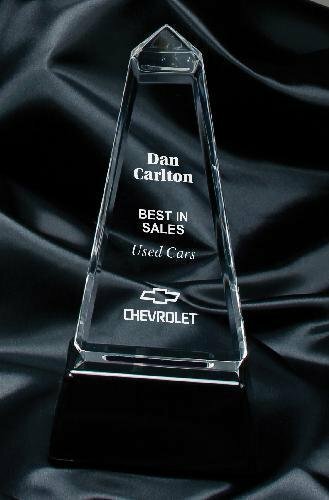 This award sits atop a sleek black weighted base. Flexibility is a key component for these awards that come in your choice of three sizes 8 3/4", 10-1/4" or 11 3/4". These are beautiful awards that anyone would be proud to give or receive. 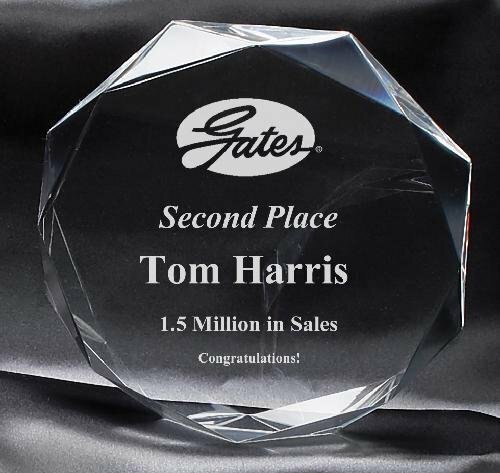 Elegant is the only term that one can use when describing these 1" thick Clear Octagon Acrylic Awards. Each piece has a beautiful cuts around the outer edge that adds depth and design while leaving a large engraving or laserable area that can accommodate any of your personalization needs. Flexibility is a key component for these awards as they are offered in both a clear and jade finish along with your choice of three sizes 6", 7", or 8". These are beautiful awards that anyone would be proud to give or receive. 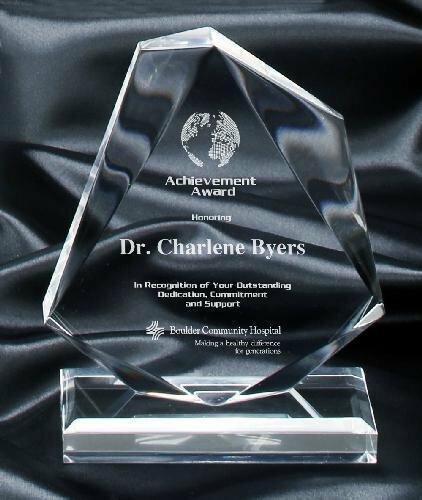 Elegant is the only term that one can use when describing these Clear Pinnacle Acrylic Awards. A unique tapered shape with 3D cut patterns that enhance a large engraving or laserable area that can accommodate any of your personalization needs. The matching acrylic base completes the look. Flexibility is a key component for these awards that come in your choice of a clear or jade finish and three sizes 6 1/8", 8 1/8" or 9-5/8". These are beautiful awards that anyone would be proud to give or receive.